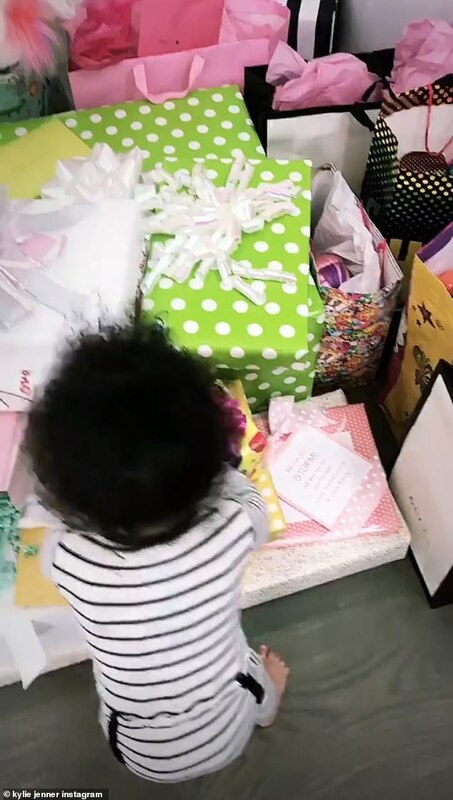 For now, she is unlikely to appreciate the Gucci and Chanel labels on her birthday gifts. 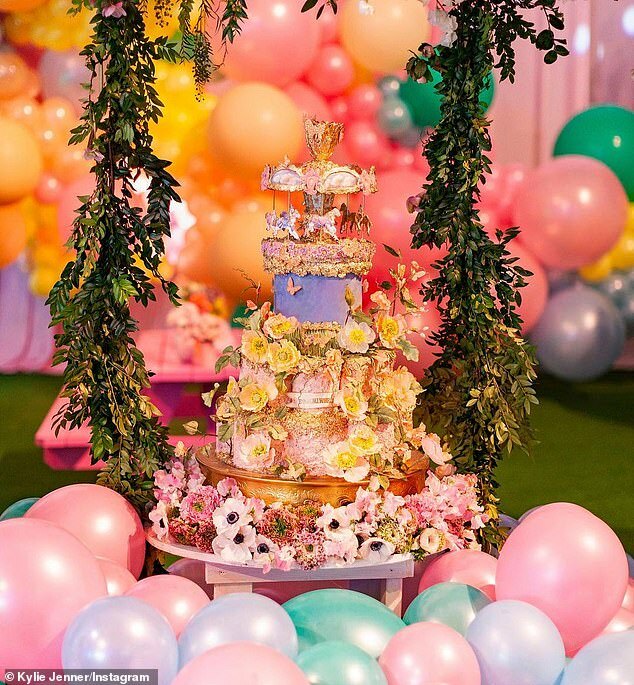 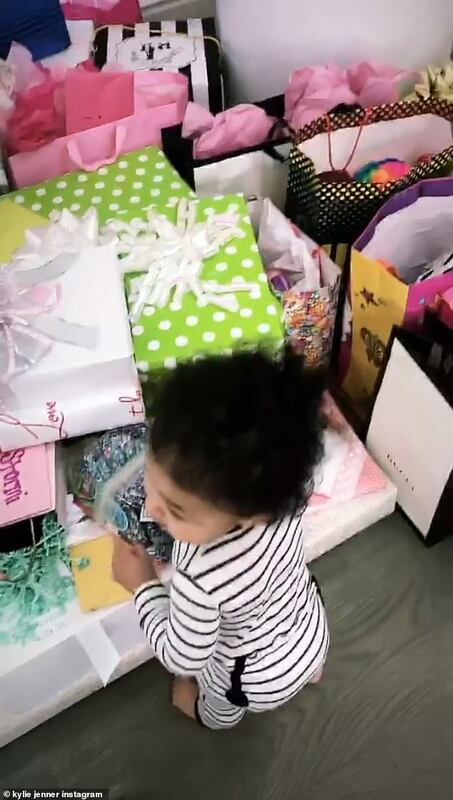 But only the best will do for Stormi Webster, who was seen admiring a huge pile of extravagant gifts in a new Instagram video posted by her mom Kylie Jenner. Sharing footage of the one-year-old tottering around, Kylie showed off the presents - which included a Gucci giftbag. While she seemed somewhat attracted to the bright shiny paper, Stormi seemed more pleased by her own new talent, demonstrating her walking ability by striding off away from her mother. 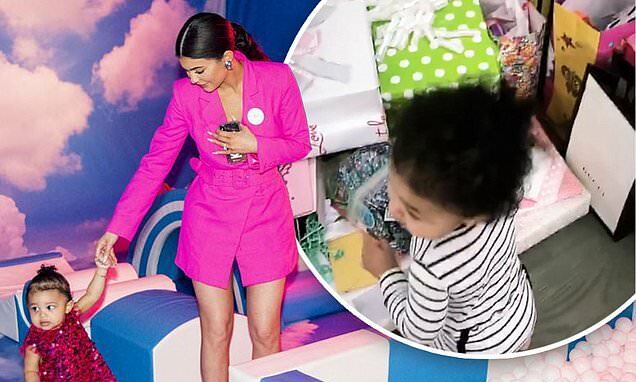 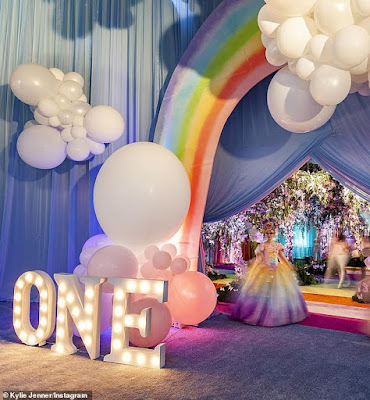 While Stormi celebrated her big day on February 1, her party was twice rained off, finally happening at the weekend. 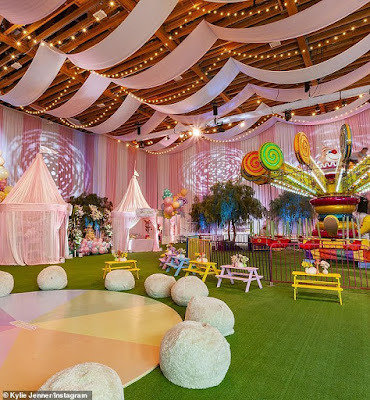 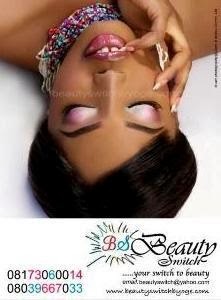 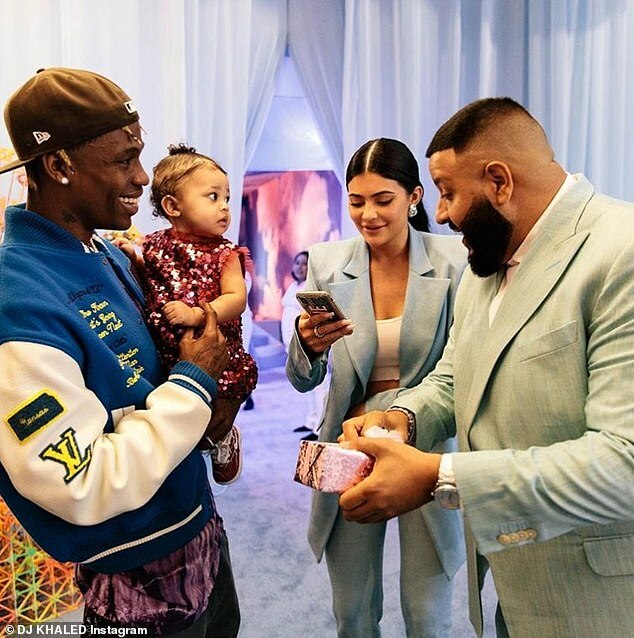 And her reality star make-up millionaire mother and rapper father Travis Scott's friends and family were clearly determined to spoil the little tot, even if she isn't quite old enough to thank them for it. 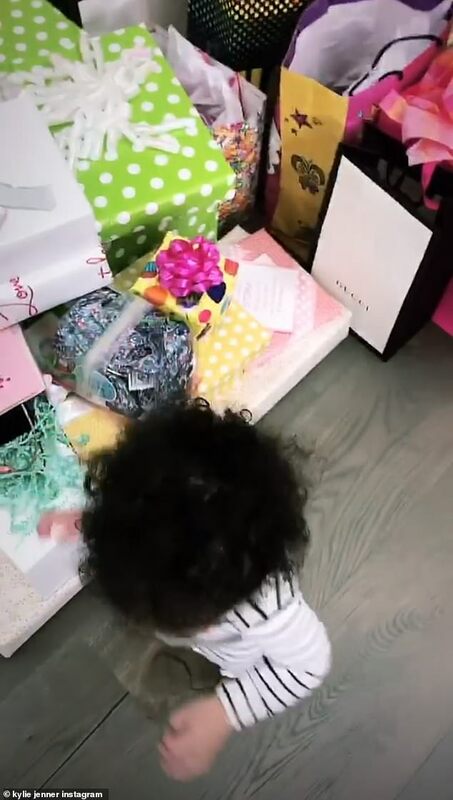 Stormi already opened one birthday present - after DJ Khaled gifted her a tiny red Chanel purse at Saturday's party. 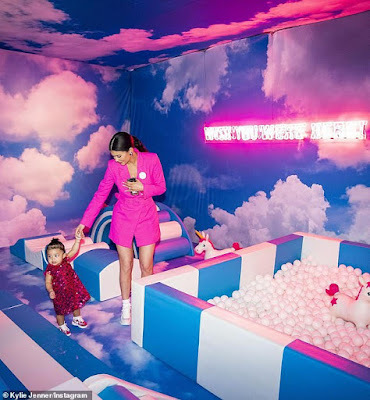 'Oh my goodness, Stormi! 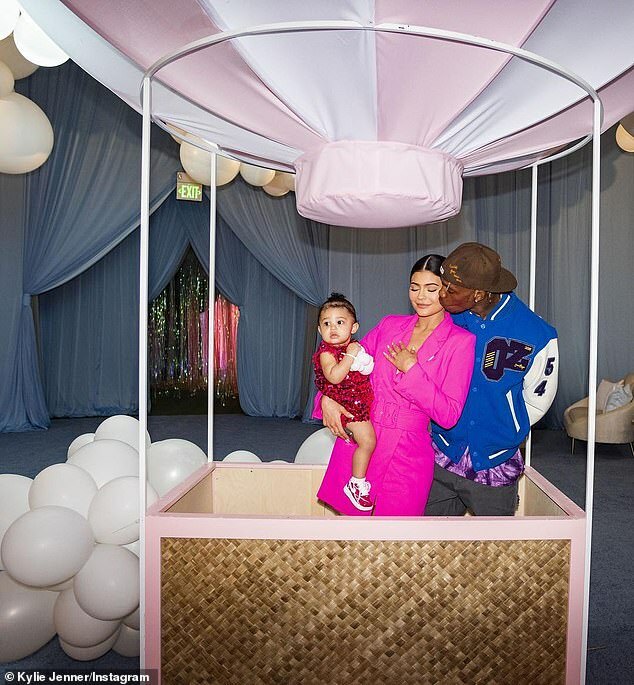 Stormi, your first Chanel!' Kylie cooed as it was opened.